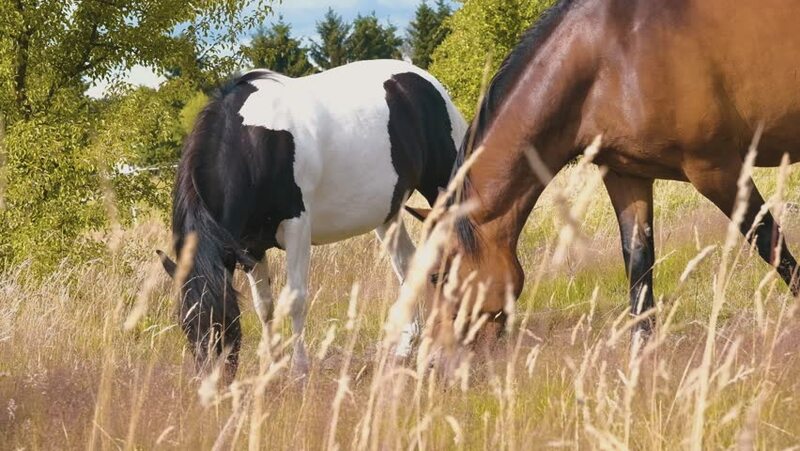 4k00:29Group of horses eating grass. Animals on meadow. Ecology saves wildlife. Strong and free.